Why would I need self storage in Old Bridge, NJ? There are a variety of reasons why you might need self-storage in Old Bridge, NJ. How much is a storage unit in Old Bridge, NJ? The cheapest storage unit in Old Bridge, NJ is $50.00 per month. What size storage units do you have available in Old Bridge, NJ? In Old Bridge, NJ we have sizes that range from 5'x5' to 20'x20' to suit your storage needs. How much is it for a 5'x5' storage unit in Old Bridge, NJ? The cheapest 5'x5' storage unit in Old Bridge, NJ is $50.00 per month. Old Bridge is a large township in New Jersey's Middlesex County. It's considered a bedroom community for New York City, and is only about 25 miles from Manhattan. Old Bridge has been named one of the best places to live in the U.S. by Money magazine, as well as one of America's safest cities for raising a family. The area now known as Old Bridge was first inhabited by a tribe of the Lenni Lenape Nation called Unami, or people down the river. In 1664, the English gained control from the Dutch and the state was divided into East Jersey and West Jersey. Until the middle of the 20th century, it was a largely agricultural community. However, by the 1950s, the area had experienced a population boom that spurred demand for a number of residential developments. The township was originally called Madison Township, but the name was changed in 1975. Old Bridge Township was named for the first bridge constructed across the South River. Although Old Bridge has grown quite large in recent decades, it still offers a community-oriented, small-town way of life. The township provides a number of recreational amenities and programs – including before- and after-school programs and a summer day camp – which are especially popular with the young families that call the area home. Several parks in Old Bridge feature amenities for both children and adults. Playgrounds, sports fields, walking trails and more can be found throughout many of the township's parks. Unique amenities include a sensory garden, fishing jetties and an ice arena. You can also enjoy a variety of local events, many of which are held outdoors during the warm spring and summer months. Old Bridge schools are part of Old Bridge Township Public Schools. You can also choose to send your child to one of the nearby private schools. Utilities: The Old Bridge Municipal Utilities Authority and Jersey Central Power & Light are the township's major utilities providers. Garbage and Recycling: The township doesn't provide trash collection services, so you'll need to contact a waste disposal company to sign up if you're interested. However, the Middlesex County Improvement Authority facilitates bi-monthly recycling. Transportation: Old Bridge is connected to many nearby cities via New Jersey Transit bus routes. You can easily access major destinations like New York's Port Authority Bus Terminal directly from Old Bridge. Old Bridge Township comprises a number of very different neighborhoods, so you're bound to find housing that fits your style and budget. Compared with national averages, Old Bridge homes are fairly expensive. However, when you consider its convenient location and proximity to New York City, Old Bridge is actually a reasonably affordable place to live. 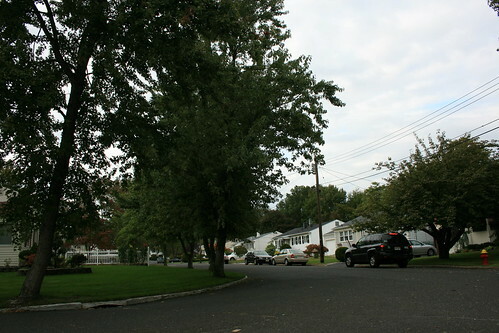 Our lowest priced units in Old Bridge, NJ average $60.50 per month. 95 people have reserved units in Old Bridge, NJ in the past 30 days. There are 2 locations within Old Bridge, NJ's city limits. There are 2 locations in Old Bridge, NJ that offer AC and Heating features.